This kiosk is designed as a payment terminal&self service terminal. 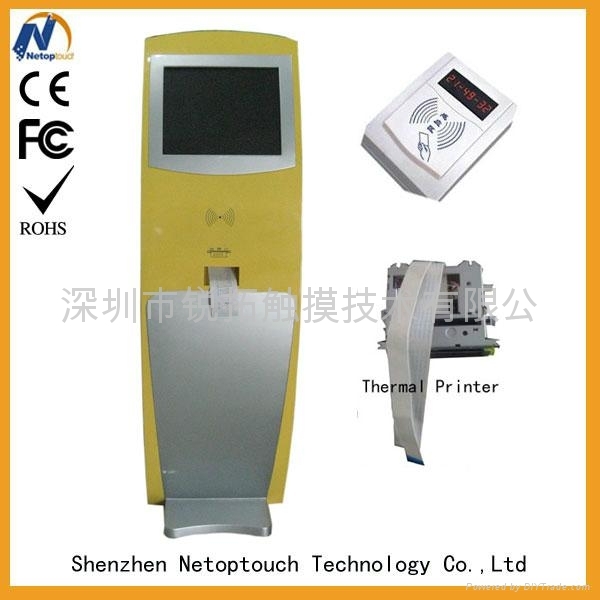 You are able to make an order and finish it via this machine. 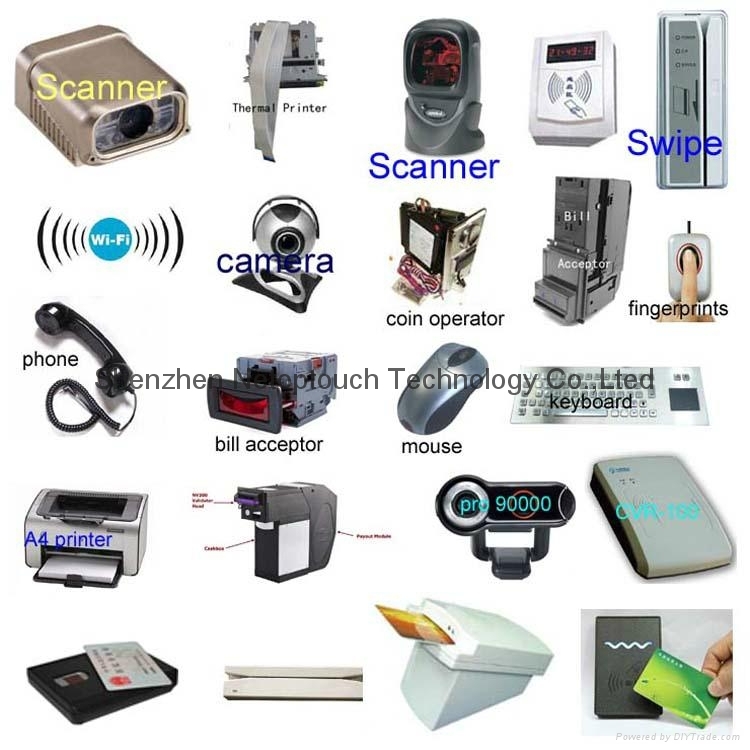 It could be installed at Metro station, film hall, train station, airport hall, shopping mall and other public places. There are two holes in the front bottom, so you can fix it into the floor to escape moving it. 1. Monitor: Grade A+ TFT LCD monitor without any dot. 17''monitor and 22'' monitor are available. SAW and Capactive touch panel are availble. 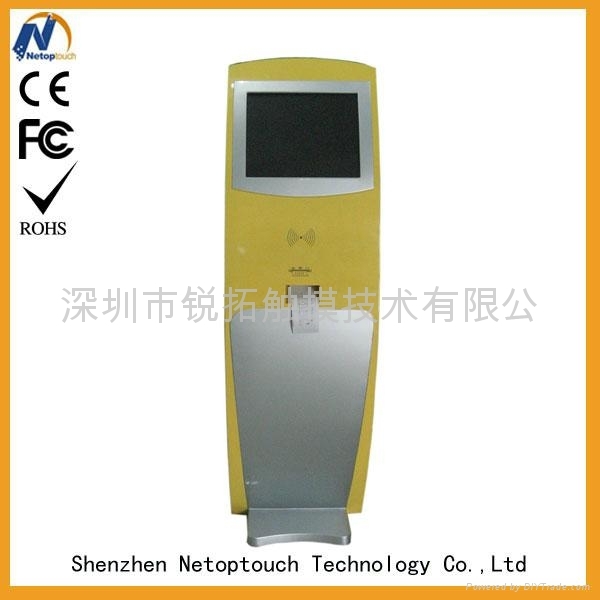 While it is a little difficult to maintain SAW kiosk and Capactive touch panel is much more expensive. 3. PC host: Intel Industrial motherboard, 2GB ram, 500GB HDD, Intel G1037 CPU, Cooling fan, P4 Power supply and 2 loader wpeaker. In order to make you maintain the PC host easily, we provide you a special steel case for it. 4. Kiosk Frame: 1.5mm CRS frame with carpaint. printer you like, please kindly provide me the brand&model you like, I will do other thing for you. 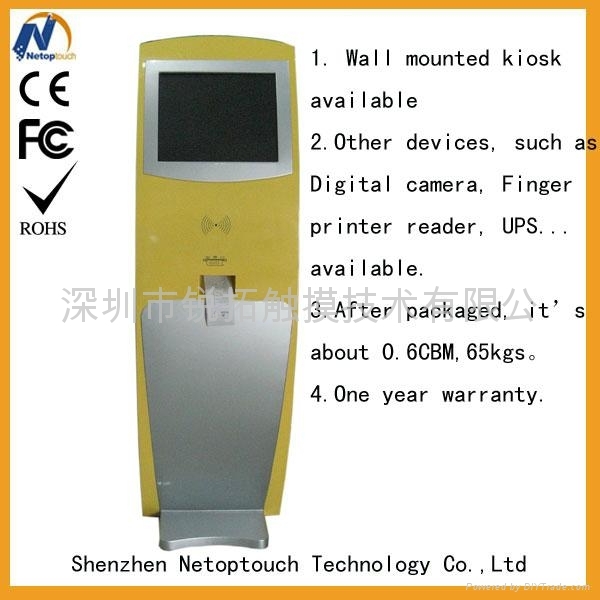 e. UPS(10~20mins)for power supplyTo this payment kiosk, 17.1''19.1''22''...are available. 1. To most of the countries, if you are not so emergency, we suggest you choose ocean ship. The cost will be best. 2. If you are emergency, you can choose Express or airfreight. 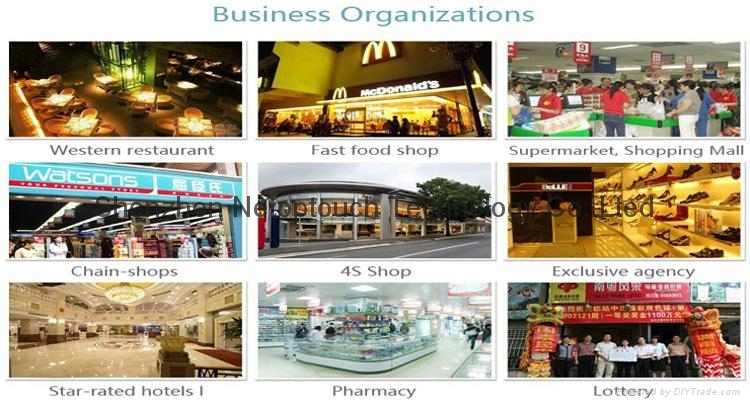 For express, there are DHL, Fedex, UPS, SAL and EMS to choose. Among of them, SAL and EMS will be a little cheaper than others. If by air fly, you need pick the goods up from the airport. 3. For Ocean ship, please kindly provide the nearest port to your city, so we can get a detail shipping cost for you. Payterms: We accept TT, Western Union, LC(above 30, 000 usd), Escrow. Usually 50% of the total payment as deposit.